The star certainly knows how to shake things up when it comes to delicious drinks. 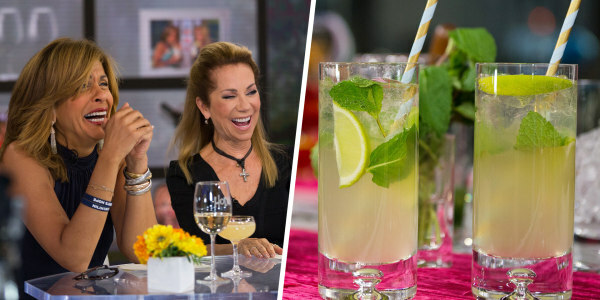 TODAY's Hoda Kotb makes "killer" mojitos and Carson Daly invented a juicy pomegranate-cherry-and-vodka drink — but Jennifer Aniston also knows a thing or two about mixing up a delicious cocktail. "It's a cleaner margarita," said Aniston, during an interview with InStyle with her friend Molly McNearney, who is married to Jimmy Kimmel. McNearney praised Aniston's margarita-making skills and told her, "You're really good at [making them]." "No sugar, no mixes, no agave," she said. "I don't like sweet drinks." Instead, she sticks to the three classic ingredients that America's top mixologists have said are the only ones that should ever really be in a true margarita. "Oh, lord, it's barely a recipe," she said. "It's basically silver tequila with lime juice shaken and over rocks. And some people like a little Cointreau, some don't." Aniston liked a little of bit Cointreau added to her margarita, she told Yahoo in 2015. "It's delicious." 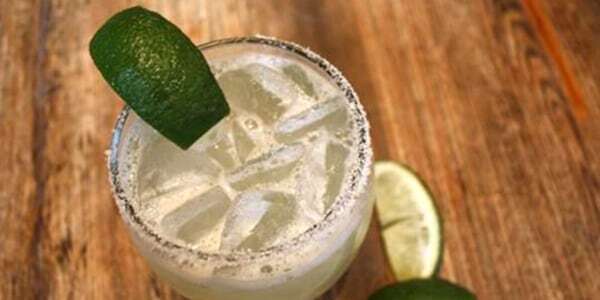 As for the type of silver tequila in her margarita, Patrón has been a favorite in the past. "I love [it]," she added. Don Julio 1942 has also been favorite tequila, but just for sipping. "It's so yummy, it has a little sweetness to it, which I usually don't like," she said. Aniston's ex-husband Justin Theroux actually may have been the one who came up with the method of making her favorite "cleaner" margarita. "Justin actually makes the perfect margarita ... because there's no agave, no sugar, no mix," she told Yahoo in 2015. "It's pure tequila, lime juice, a squinch of Cointreau." Whether it's Theroux's method is moot. Aniston's marriage to Theroux may have ended, but a great margarita is forever.